Are you dealing with tooth loss? Find out how dental implant could restore your smile. While it’s normal for children to lose teeth it’s not exactly a happy occasion when this happens in adulthood. You may feel scared, upset or even lost about what to do next. This is where our Philadelphia dentists Dr. Steve Gilbert and Dr. Carlos Velez come in. We can provide you with the restoration you need to replace missing teeth and to help you get your smile back. Find out how dental implants could treat your tooth loss. When you have gaps in your smile the first thing you want to do is fill those gaps with a restoration that will most resemble a real tooth. Look no further than dental implants. Implants are the next best thing to real teeth, as they function like tooth roots and they are even fabricated to mimic the look and feel of a natural tooth. Implants even offer a much better longevity than other tooth replacement options can. Being embarrassed by your smile can lead to a lot of self-esteem issues. After all, every time you smile you know that people are noticing those empty gaps in your smile. 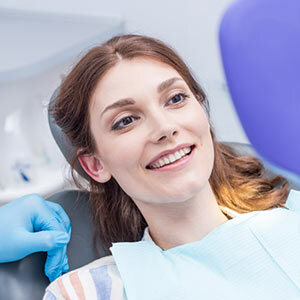 Whether you find yourself avoiding social engagements or smiling less, our Philadelphia general dentist knows that the minute you get your dental implant you’ll feel instantly more confident with the way you look. Unfortunately, untreated tooth loss also leads to jawbone loss. The jawbone stays strong and healthy thanks to stimulation from tooth roots. Of course, if you are missing one or more teeth you can imagine that the jawbone can no longer get the ample stimulation it needs, which means that it will start to break down. While other replacement options like bridges and dentures won’t be able to preserve your jawbone, dental implants can. This is the only restoration that will be placed into the jawbone where it will fuse together with bone and tissue and provide the proper amount of stimulation the jawbone needs to stay healthy. You know how challenging it can be to eat certain foods when you have missing teeth. You may also notice that you’ve developed a lisp or speech impediment due to tooth loss. Luckily, getting implants also means that your smile’s strength is fully restored. No more fighting with foods that you can’t eat and no more problems with your speech. Do you want to find out if you are an ideal candidate for dental implants? Want to chat with us about your tooth replacement options? Then what are you waiting for? Call Gilbert Dental Care in Philadelphia, PA today.